On January 22, to coincide with the forty-sixth anniversary of Roe v. Wade, the U.S. Supreme Court’s landmark decision over abortion rights, the State of New York has further liberalized their abortion laws. The procedure will now be permitted (under certain circumstances) up until birth and will no longer be regulated by their criminal code. These measures have virtually brought the state in line with Canada’s decades-old approach to the procedure. Canada has no abortion-specific regulations, creating a legal vacuum that has been interpreted as absolute legalization through all nine months of pregnancy. There are few issues in our ever increasingly polarized society that lack a genuine discussion as this one. Let me illustrate the divide through a personal example that isn’t about abortion. My wife and I recently significantly downsized. We moved from a home in which at one time all ten of our children lived. Over the past several years one, then another, then another has moved out on their own. Currently we only have our two youngest, teenagers, still living with us. It took us a while to understand how radically different life was with our tiny (to us) family. Moving to a new, smaller home presented us with various challenges, one being: what do we get rid of? It’s amazing how much stuff we humans can accumulate. You are probably not surprised that my wife and I had differing opinions on this. As far as I can tell, most of the time, we kept our thoughts to ourselves, but every now and then there was something significant enough to one of us or both that merited a discussion. The problem is that if there was a difference of opinion over this or that item, apart from the item being the topic of discussion, it was as if we weren’t talking about the same issue. At least not the same aspects of the issue. The person wanting to get rid of the item focused on how keeping the item was detrimental to them or the family: no room, doesn’t work anymore, expensive to maintain, outlived its use, and so on. The person wanting to keep it was focused on how precious and essential the item was: it means a lot to me, it was a gift, you never know when we might need it. Before you know it, it’s personal. Either party may accuse the other of not caring about them and their feelings positively or negatively toward the thing. But what about the thing itself and its ongoing place in our lives? Can’t two people intelligently discuss the actual pros and cons of keeping vs. getting rid of something? We tried and succeeded, I think. 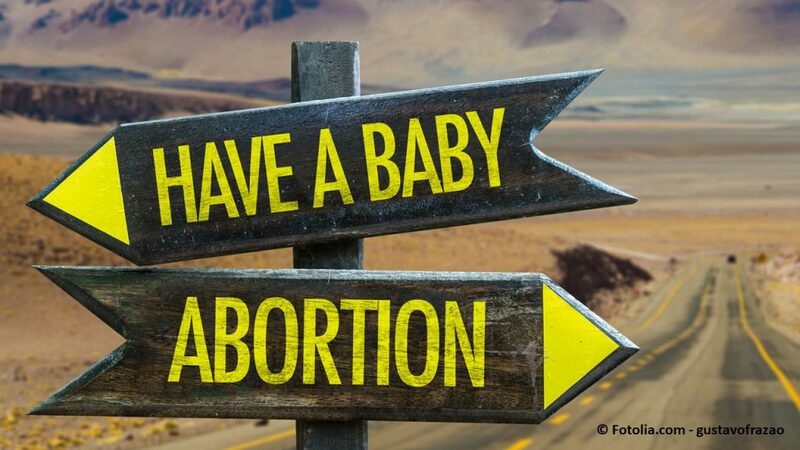 Similarly with abortion most of time the two sides are not discussing (arguing!) the same issues. The pro-abortion side is focused on the woman, especially her right to not have the state or anyone else tell her what to do. Pro-lifers, on the other hand, are focused on the preborn child. The existence of a human life demands protection whatever state or condition the prospective mother may be in. For one side, it’s about the woman; for the other, it’s the baby. But is this lack of true discussion really necessary? Can’t we approach this issue together with concern for both mother and child? In this week’s parsha (weekly Torah reading portion), concern over mother and baby are addressed together. Should a violent altercation that leads to premature birth result in further harm, the offending party must make amends. It isn’t clear if the harm is to the mother, the child, or both. Harm to either deserves justice. Both the mother and the baby matter to God. Both should matter to us. However we resolve our differences regarding abortion, let’s keep all affected parties in mind.